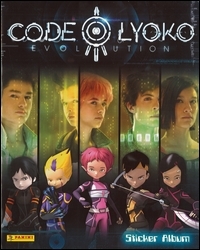 Rediscover here the related products from all around the Code Lyoko Universe. These products haven't found a place in the other sections but they deserve a glance! What all Lyokofans dream of! 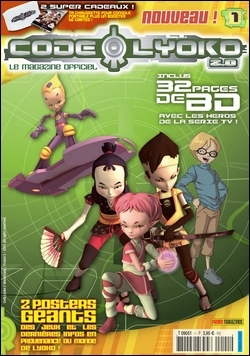 Rediscover here the official magazines of the series called "Code Lyoko 2.0". Unfortunately, only three issues were released: the magazine's full extent was never reached. In the few that were released however, we find small, interesting elements, notably posters. 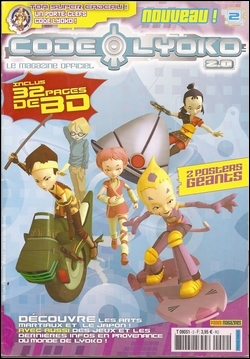 In the "Media" section, you can download the 3 magazines...and also the 5 comics which were in..
Panini invites you to discover or rediscover the fantastic universe of Code Lyoko thanks to its new album and stickers. 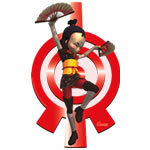 Hurry and join the 4 students Jeremy, Odd, Yumi and Ulrich in their 2D and 3D world. 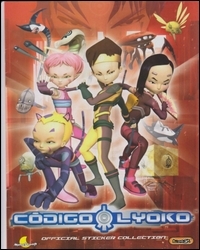 As you know, Lyoko is a virtual world parallel to our own and it's in grave danger. Luckily Aalita, the virtual humanoid creature and the 4 students are there. Hold on, the adventure's beginning! This new Panini collection is FAN-TAS-TIC: you'll be able to collect not only paper stickers but also shiny ones and super interactive cards. 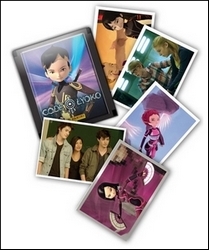 Thanks to this new Panini collection, you'll also be able to win gifts on the website www.codelyoko.com. How? Nothing's simpler, you just have to discover the secret codes found on certain stickers and interactive cards. So it's your turn now! Here's a slightly unusual album. 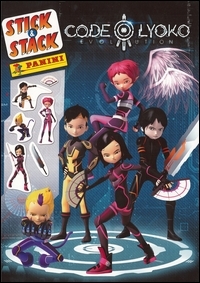 It has two pages of reusable stickers, which are Code Lyoko Evolution renders of the Lyoko Warriors. 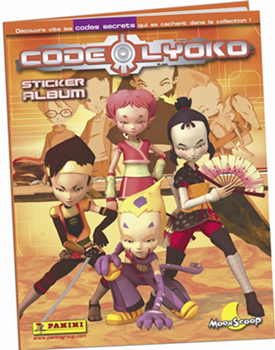 The idea of the album is to take the stickers and put them on the album's double-page images of backgrounds from the series, to make your own scenario. It's useless and therefore Spanish. 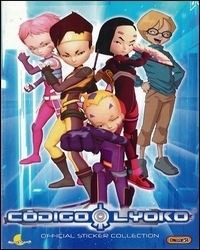 Here are two Code Lyoko sticker albums that came out in Spain. Dating back to 2010, the first of these albums is centred on the characters and their vehicles, as well as XANA's monsters. 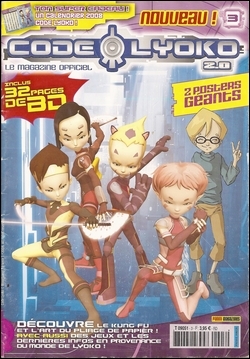 On the other hand, the second album is mostly the Lyoko Warriors in virtual form, in the different Sectors of the virtual world. 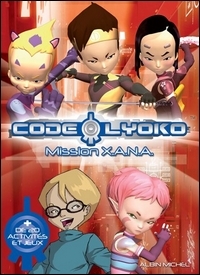 These two books contain all sorts of varied mini-games to do with (or simply decorated with) Code Lyoko. Each book is 34 pages. This book, somewhat like the Albin Michel books, was a mix of information on the series and more or less fun games. 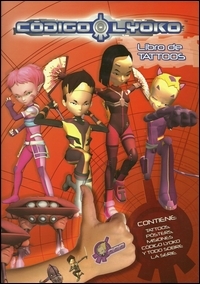 Plus, this book stands out from others in that it had temporary tattoos included: around 20 mini-tattoos in our heroes' and XANA's monsters' colours. 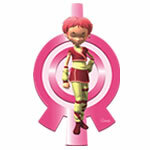 The first Code Lyoko wall stickers! Caution! This is a limited series. So make it quick: there are only 1000 units of each character in the entire world. It's a collector's item! 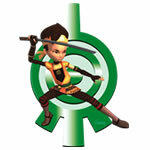 With these PDF, you can build Lyoko Sectors at home ! 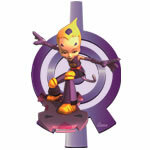 With these PDF, once printed, you can play home different games like Ludo or spinning tops, in Lyoko version. In Spanish, but not very useful at all. 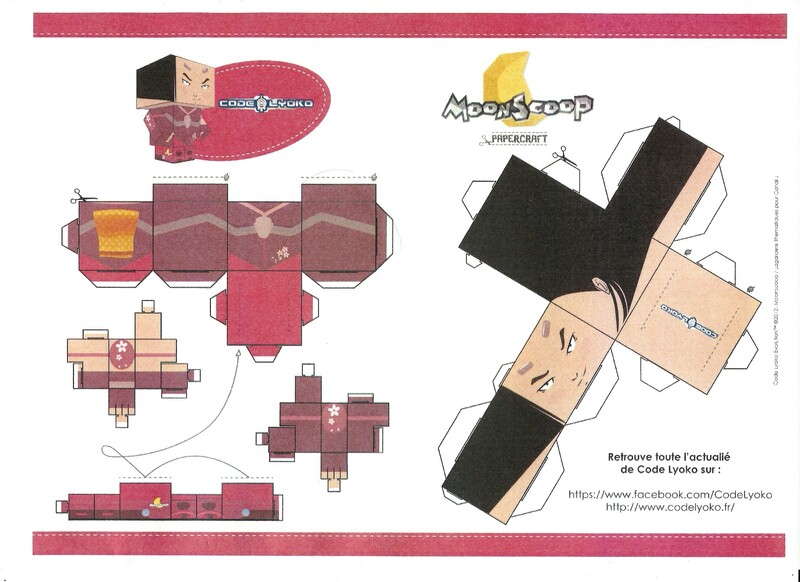 In 2011, a few months before the announcement of Code Lyoko Evolution, Moonscoop tried to promote its future series by creating papercrafts based on its mother series. 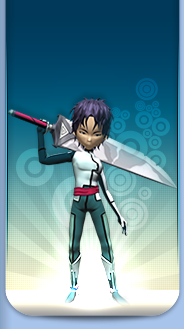 (A papercraft allows you to recreate a character from a series with a cubic design from a pattern). 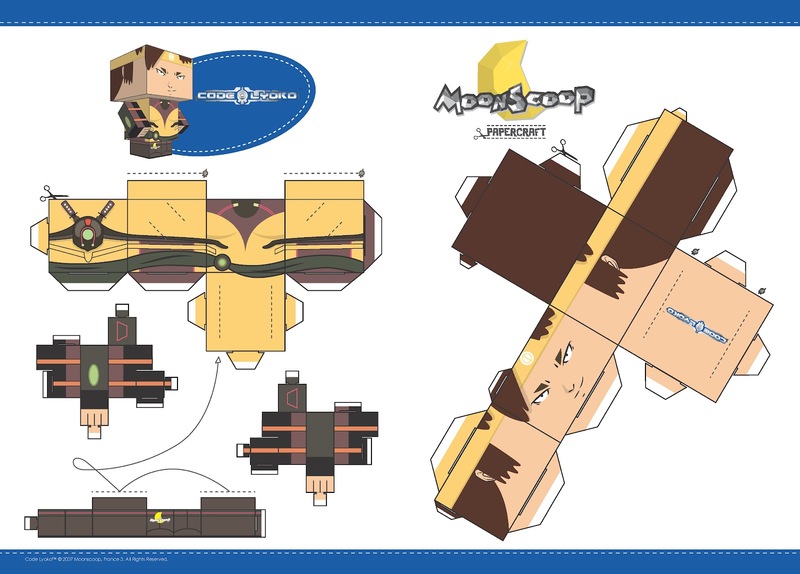 A first official papercraft of Ulrich came out, but after very little success from this first papercraft, Moonscoop didn't bother to release any others. Well...a second one, of Yumi, was in the making and found by Dude Dudu.